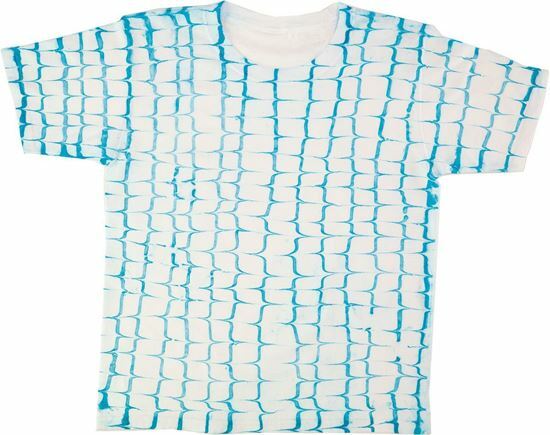 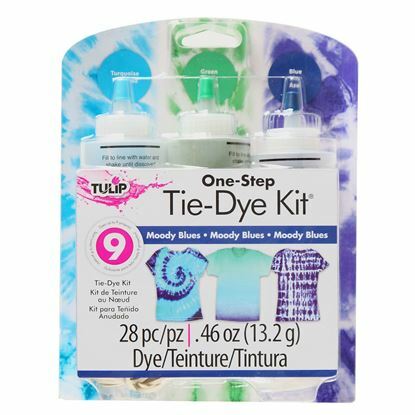 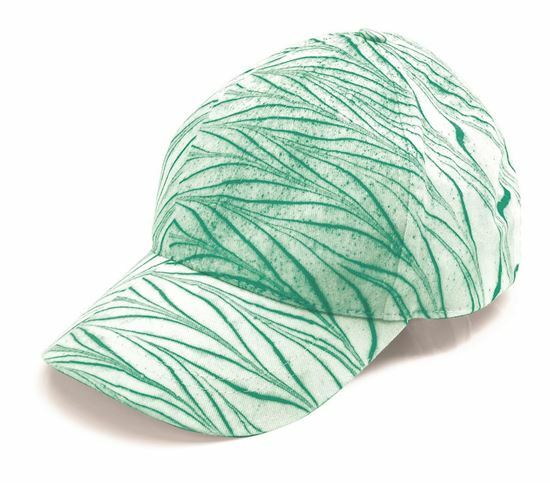 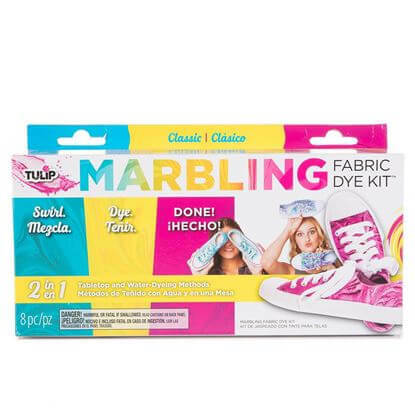 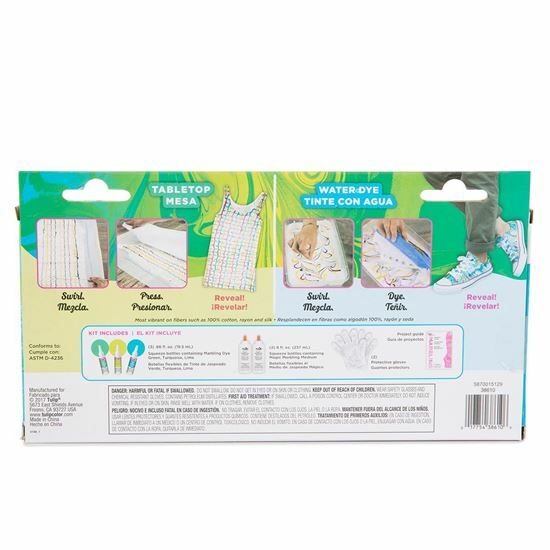 Discover a whole new way to tie dye with the Tulip® Classic Marbling Fabric Dye Kit! 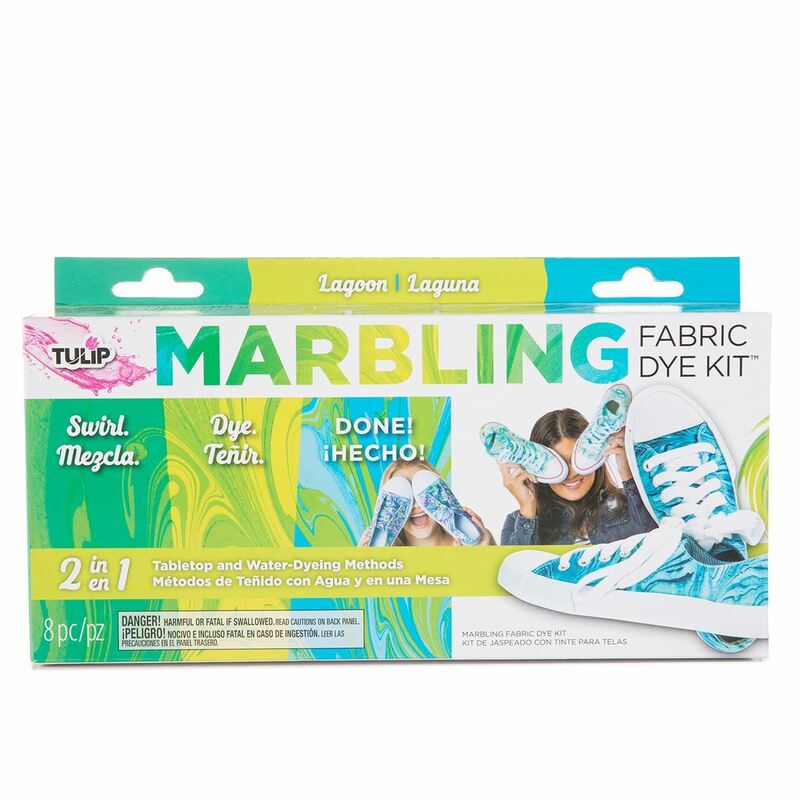 Create one-of-a-kind marble effects on fabric items using either the tabletop technique or the water dye technique - just swirl, dye and youre done! Kit contains 3 squeeze bottles of Marbling Dye (Green, Turquoise and Lime), 2 squeeze bottles of Magic Marbling Medium, 2 protective gloves and a project guide complete with tabletop and water dye technique instructions.